2 yards per card ~ 100% silk. This thread line is currently a special order - please expect a wait of up to four weeks. 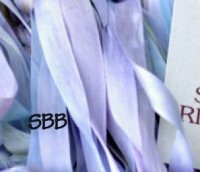 7mm Silken Ribbons #343 Petit Fours New!